A very confident title wouldn’t you say? 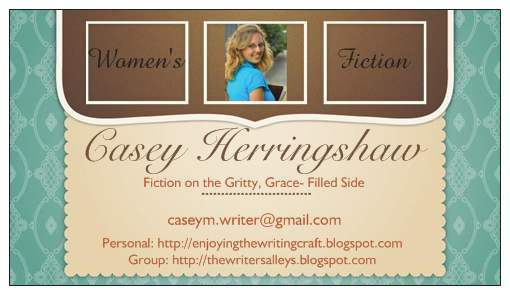 This year will be my first time attending the ACFW (American Christian Fiction Writers) nationalconference in just FIVE WEEKS! If you’re not going…I know what you’re going through and I hope you’ll take a second and read my encouraging post on my personal blog from last Wednesday. Commiserate, we get it! This year I took a deep breath, gulped down ALL common sense and told Pepper, Mary and Carol Moncado (of Pentalk Community blog) I would room with them. Crazy. I know. Don’t remind me. And I’m more scared since I was recently reminded that last year Pepper and her roommate had a TOILET explode in their room. I’m shakin’ in my Harney County FatBaby© boots! 1. Learn where ALL the exits from your room are. And rehearse a quick, short, give no-hints-of-where-you’re-going speech when an escape is in instant demand. 3. Keep a steady supply of chocolate in your room. It works well for bribes. Like extra shower time. Or more blanket space. Or an extra pillow. Or the TV remote. Just hide it, or it might be used against you. 4. Don’t stress the appointments. Look at it as a chance to network and talk WRITING. I mean we ALL love to do that right?? Write?? 5. When in doubt when security knocks on your room door, roll over and feign a stroke, heart attack, sleep, ANYTHING to prove you didn’t do it. 7. Beware of high-pitch giggles. Girly TMI (unless you’re a guy rooming with guys, then have no fears). Long showers. Bathroom counter space fights and pantyhose and other such articles flying across the room. Watch out and DUCK! 8. Remember this time and the opportunity to attend the conference is a gift from God and He wants to be part of the time you spend socializing. Pray, worship, praise! You wouldn’t be here without Him. 9. When your roommates want to introduce you to someone they are sure you are going to LOVE, always take their word with a healthy dose of salt. You never know when they might be setting you up with what THEY think will make your “Mr. Write”. Don’t always believe everything they say. They may seem sweet, but remember the title of this post??? Just trust me. 10. Learn and learn lots. Take notes, laugh, enjoy, don’t stress. Thank speakers. Greet others with courtesy and have a business card ready at the flick of a wrist when someone asks. If you’re carrying a bag or purse with you, keep all your writer’s utensils within easy reach and organized so you don’t have to dig. Keep smiling! So now that we have woven to the end of this crazy maze, I ask only one thing of you: if you think of me between September 21-25th, please say a prayer and hope I packed enough chocolate! Any helpful conference tips (funny or otherwise) you would care to share? I would be greatly in your debt! LOL -- I don't the the conference knows what they are in for this year! Enjoy your time...good luck on the not stressing...unless you are a no-stress kind of gal. I'd be a basketcase if I were going! Casey, I'm eager to meet you and have a hug ready and waiting. I hope you have a fabulous time. If you pack your wonderful sense of humor and winning smile, I'm sure you will. Here's to a great conference, one free of commode catastrophes and filled with plenty of connections and chocolate. 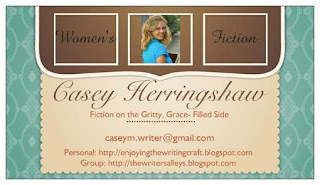 Casey, what a fun list - and infused with such good advice, too! It's such an amazing and unique experience, it's worth it to take part in every ounce that you can :) I'm so happy that you get to go this year and can't wait to hear all the fun stories and divine appointments from God. KAV, I *try* not to stress. It can be a characteristic though I have to fight against. :) I'm just excited right now! With regards to number 5... The plans are already in place for the cops to KNOW it's ALL your fault. But if I told you what they are, I'd have to kill you. And then the cost for the hotel room would go up unless we could con someone else into sharing with us. So plan how you'll look in stripes or florescent orange and it'll be all good. Carol, seriously. Do you expect me to fall for that one? I already have escape plans in place and I'm not advirce to the window. I have been watching CHUCK, don't ya know. The windows don't open, dear one. And if they did do you really think we'd let you get out them? Carol, where there is a will, there is a way! I'll be looking for you, Casey. Any favorite chocolates? If you want a little late-night variety, you are welcome to drop in at my room--I'm rooming with Roxanne Sherwood Gray and Evangeline Denmark & we have a "the more the merrier" policy! Conferences are all about workshops--sure. But connecting with other writers--that's the best! I decline to answer any questions about the exploding toilet. And the high-pitched squeal could vERY WELL be our response to CASEY WINNING THE FRASIER!!!!!! And if the cops show up, it is mostly likely Carol Moncado's fault. Oh - and someone needs to frisk Carol to remove any permanent markers from her person. And we agreed to this? What was I thinking????? Okay, everybody needs to applaud Jessica Nelson. Not only is she a Genesis finalist, but a NEW LoveInspired Author!!!!! I shall bribe any cops with my cookies and they'll leave me alone. And if you're not nice, you won't get any. So there. My CP is also a Frasier finalist. I'm so torn!!!!!!!! And you will never, ever find the markers Pepper. Not even after I use them. If you hide the markers THAT well, I don't want to know where you put them. We'll text you, Krista - and tell you all about Casey's romantic interludes. Thanks... I appreciate that Pepper!!! That way I can give advice from afar!!!! Oh my goodness, I laughed so hard when I saw all these comments! Cute little smile?? You ain’t seen nuthin’ yet! What were YOU thinking? ?, what was *I* thinking!! PEPPER (again :- ), Beth and I have already talked chocolate and escape plans, I’ve got this covered. CAROL, you’re okay! I’m not going to win anyway, so we’ll be cheering extra hard for Debbie! Such a sweeeet lady! KRISTA, I HAD to laugh when I wrote that suggestion, because well if there is time to use the TV remote, there are simply too many hours in a day and I should be down at the “bar” with the Seekers. ;-) You are SOOOO going to be missed!! PEP and KRISTA, romantic interludes….WHAT?!?!? Oh dear, Casey....we will both be without an acceptance speech! No need for me. Have you seen the stellar competition? I've read your stuff. Argh! I'm so jealous !!! Oh, not going this year, Tracy? I'm sorry! :( Hopefully you can jump on with the recordings!! LOL Charity! I am glad I could be of help. There is SO much to do to prepare, but don't panic, this is meant to be a wonderful experience!